The University has partnered with the Co-op to ensure compliance with the federal law, HEOA & HB33. 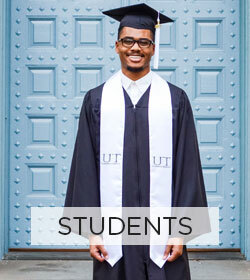 The Co-op collects the course material requirements for all UT courses and makes the information available to the students by way of the UT registration website or the Co-op website. The list is also freely available to competing bookstores. The federal law requires this information to be visible to students at least 30 days prior to classes beginning every semester. The earlier we receive your adoption the better, this allows us to offer better buy back prices to your students, or to find better sourcing on the market -- lowering costs to your students! The deadline for fall and summer semester adoptions is April 15th. The deadline for spring semester adoptions is October 31st. Email us at textbooks@universitycoop.com for your unique link to submit your textbook adoptions. 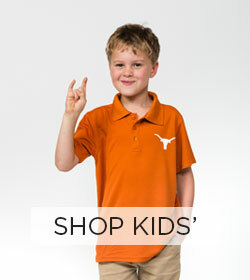 You can also visit us in store on the Academic Floor of the Austin Co-op store. Specify all required course materials including school supplies, course packets from any location, solution manuals, access codes, library readings, and anything else! List materials for any cross-listed courses. Advise us of any special timing for your course so we can have the books on time! Even if you don’t require any course materials, let us know so we have accurate information for students. Imported titles take 8-10 weeks to arrive. Please turn these adoptions in as early as possible! Why am I receiving emails from the Co-op requiring me to adopt a textbook? The University sends a data feed to the Co-op’s adoption system. If you have been added as a professor to a course at UT, you will automatically receive a welcome email asking for your book adoption. If you feel this email is being sent in error, contact us at textbooks@universitycoop.com. Why are you asking for book information so early? Having textbook information submitted early greatly helps the Co-op, yourselves, and most importantly your students! The more advance notice we get, the more time we have to research and source books to get the highest quality at the lowest possible cost in the earliest timeframe. 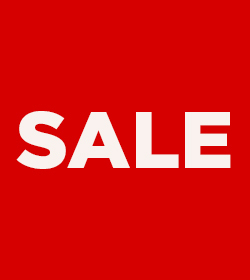 This also means we can buy back more books at a higher price (up to 50% of the new price!) 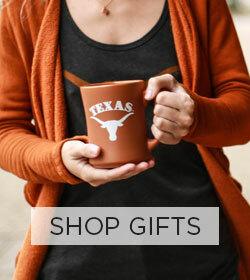 from students, particularly during Fall and Spring finals when many are about to leave Austin. In doing so, we are also able to fully stock your books early enough to make them available for students earlier. Do I need to request a clicker for my course? Yes! Use our adoption system to indicate what type of clicker you need. We order clickers based on how many classes are using them – last minute adoptions usually cause us to sell out, which can be stressful for students. Can I request non-textbook materials for my course? Yes! You can contact our Art & Supplies buyer at supply@universitycoop.com to create a custom course supply kit for your course or to make sure the Co-op stocks any required materials for your course. How can I obtain a desk copy of my book? You may request a desk copy of your book directly from your publisher or their local rep. If your desk copy will not arrive in time for class, you can purchase a book from us and we will give you extended return privileges. I received a notice saying my book was not available, but I can find it on other websites. Why can’t the Co-op get this for my students? We source our books from student buybacks, wholesalers, publishers, and other distributors. Sometimes, books might be for sale on places like Amazon.com from individual re-sellers. This availability is limited and has unpredictable pricing. How does the Co-op decide how many books, supplies, and iClickers to order? We use a variety of information to determine how many books to order each semester; estimated enrollment, previous enrollment and sales, and class history. We are constantly reviewing inventory to re-order as rapidly as possible.